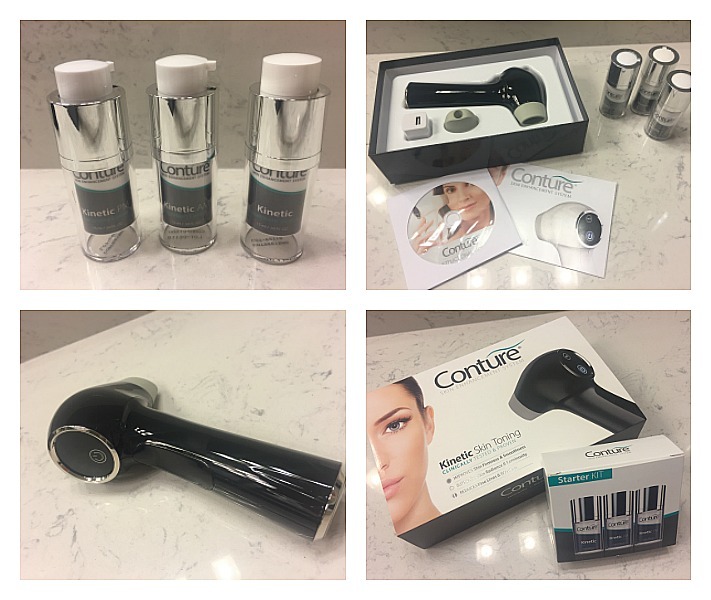 So, lets dive right in: the Conture Kinetic Skin Toning Device and the Conture Skincare Starter Kit: Review of the System as a Whole and Final Impressions. Keep reading to hear more! 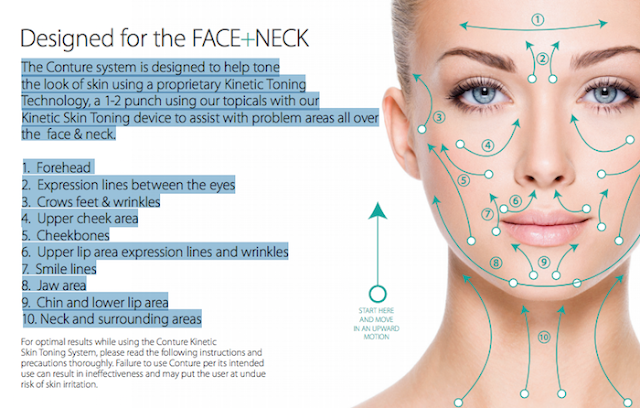 Before jumping into information and impressions of the Conture system, let me tell you a little bit more about my skin. I am in my early 40s. So, I am starting to see some mild signs of aging in the form of fine lines. I am honestly pretty lucky here as the fine lines are really mostly apparent when my skin is a bit dehydrated. As far as skin type, I have combination skin with a slight tendancy for clogged pores in my t-zone area and the occasional breakout. Plus, my skin is also somewhat sensitive. This is what has held be back from a lot of professional-type devices in the past. I want to fight aging, but need to do so in a gentle way! Overall, I think that I am quite lucky in that my aging signs are mild and I am already in my 40s. I really do attribute that to genetics as well as taking good care of my skin with well-chosen products and devices. The Conture Device is an easy-to-use skincare device that you can use right in your home...painlessly. This is so key! As someone with sensitive skin, I shy away from many skincare devices for fear of aggrivating sensitive skin. The good news is that I have had no sensitivity reactions with the Conture! 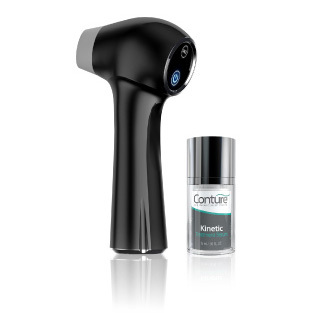 The Conture Skin Enhancement System is a totally non-invasive and painless way to improve the look of your skin and fight the impact of aging. 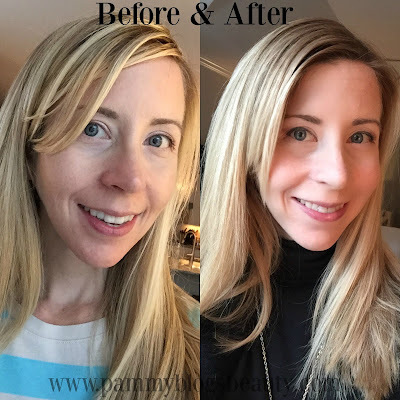 As I mentioned in my previous posts, I have been treating the following areas of my face: Forehead, Crow's Feet, and Smile Lines. I follow the below graphic from Conture in reguards to placement and movement direction fo the device. I use the device as recommended and follow the movement patterns on the below graphic from Conture. So, lets talk a little more about my long-term results! After using the Conture for a few months, I am seeing some noticable results! Granted, my results are very mild as I do not have a lot of signs of aging to begin with. Overall, my skin seems to feel more plump and smooth in the areas that I have been treating. My fine lines seem less apparent and I am please with that. Plus, I honestly have come to enjoy the gentle feeling of the device on the skin. It seems to invigorate my skin and is almost like a facial massage. Plus, I do love that the device is not painful and that it aids in product absorption for the skin. This means that the anti-aging products that I am already using in my skincare routine might be more effective for my skin because of my Conture device use! You really can't beat that! I am still happy to have the Conture device as part of my weekly skincare routine. 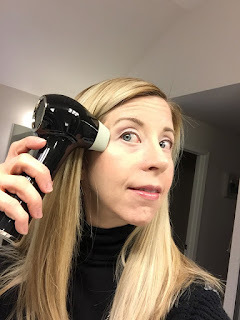 It is honestly so easy to integrate this painless device into your existing skincare routine. I use my usual cleansers, serums, and moisturizers...but I just add in the Conture. 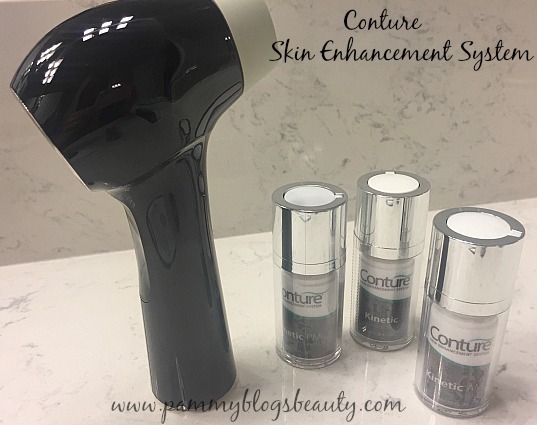 So, while you can use the products that come with the device, you can also use your own products in conjuction with using the Conture device with the Kinetic Treatment Serum (or you could substitute whaever "slippery" type serum that you already love using). I plan on continuing to use the Conture device as it is easy to use and honestly...why not! The results have been pleasing and it is painless. I might back down to using it just a few times a week to maintain the results that I have gained over the past few months. Thanks again for following me along on this Conture journey. It has been super fun trying out this device and sharing my results with you.